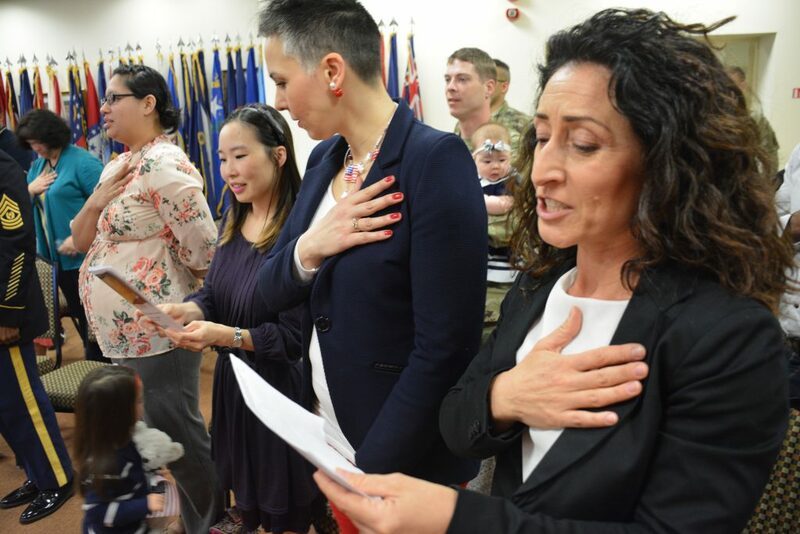 Along with the annual fireworks and family gatherings to mark the Fourth of July, 15,000 new citizens will be sworn in around the country and take the oath of citizenship. U.S. Citizenship and Immigration Services (USCIS) announced that it will naturalize 15,000 new citizens on Independence Day. USCIS will kick off the naturalizations with more than 65 celebrations throughout the country, with the agency’s feature event taking place at the National World War II Museum in New Orleans, Louisiana. Becoming a naturalized citizen is certainly an achievement to celebrate. Among the requirements established by Congress in the Immigration and Nationality Act (INA), applicants for citizenship must pass a test to demonstrate their knowledge of American civics. The exam costs $600 and 97 percent of those who take the exam pass on the first try. The exam itself is not easy and questions about Independence Day are included. Featured in the 100 potential questions prospective citizens are asked is “What did the Declaration of Independence do?” and others regarding the multiple roles of the federal government, the positions of current policy-makers, and features of the U.S. Constitution. Applicants must also be proficient in reading, writing, and spoken English. Legal service organizations have noted a rise in naturalization applications. Nearly 1 million people applied for citizenship through naturalization during the 2016 fiscal year, USCIS data shows. As USCIS Director McCament noted, welcoming these citizens only serves to strengthen our country, not weaken it. By providing 15,000 immigrants with a pathway to citizenship, the country will gain their knowledge, and talents to the benefit of all Americans.